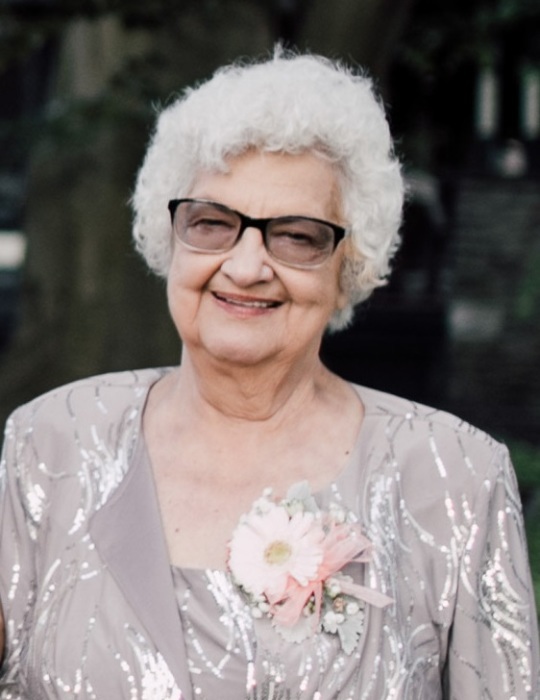 JoAnne “Jo” Brownlee passed away March 29, 2019 surrounded by her loving family; she was 76. JoAnne was the beloved wife of the late David R. Brownlee with whom she had shared 39 years of marriage. JoAnne was born on February 4, 1943 in Easton, Pa a daughter of the late Donald and Florence Reese. After her marriage to her beloved Dave, they later moved to Hatboro, PA. Dave and JoAnne enjoyed throwing parties and picnics, camping at Ringing Rocks Campground, and spending time with their grandchildren and family. JoAnne’s greatest pride was her loved ones. Whether you knew her as Mom, Mommom, Grandmom, Ggmom, Aunt Jo, Jo or JoAnne, she was a large part of everyone’s life and impacted their lives in big and small ways. She was always the strong one whom everyone went to when they needed guidance, advice, a good cry and a hug, celebrate an accomplishment with, or just listen to a good story. She was known for being the one you could talk to for hours and would outplay anyone in a game of cards. A firecracker of a woman, she lived life boldly, going to craft stores with her Jack Russell Terrier, Ralph, hanging out of her purse or sticking out through her jacket; she was always one to do things in her own unique way. JoAnne was one-of-a-kind; she could go from yelling at the TV over the Philadelphia Eagles and Phillies, to baking a pie, to knitting a scarf. JoAnne’s dynamic spirit will live on in all who knew and loved her as she returns to see her husband, parents and brothers once more in heaven. Until then, we’ll see you in the next life. She is survived by her two children David Brownlee (Christine) and Kimberly Bowers (Joseph), four granddaughters Elizabeth Kozero (Michael), Brittney Bowers Dennis (Mycol), Sabrina Brownlee (Ryan), and Gabrielle Brownlee, three great-grandchildren Skye Hasse, Marybella Kozero, and Mason Kozero, brother Donald Reese, sister Linda Garner, sister-in-law Kathy Reese, and many nieces and nephews. In addition to her husband and parents, JoAnne was preceded in death by her brothers Jack and Dane Reese and niece Kelly Reese. Relatives and friends are invited to her viewing on Thursday, April 4th after 10 am in Schneider Funeral Home, 431 N. York Road, Hatboro and to attend her Funeral Service at 11:00am. Her interment will follow in Whitemarsh Memorial Park Cemetery, Ambler. In lieu of flowers donations may be made in JoAnne’s name to the American Heart Association, Southeast Pa, Memorial Fund, 1617 JFK Blvd, Suite 700, Philadelphia, PA 19103.